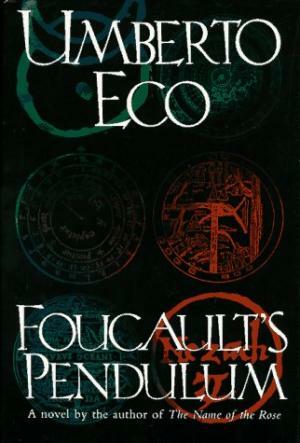 Three brilliant but frustrated editors amuse themselves by inventing European history anew in Umberto Eco’s bestselling novel, Foucault’s Pendulum. The protagonists rearrange names both familiar and obscure from a millennium of European politics, religion, and science to create a dizzying alternative narrative of Templar plots, secret society schemes, and occultist conspiracies. Eco’s book is deeper and intellectually richer than Dan Brown’s subsequent variations on the same theme, but it is also every bit as thrilling. It takes readers on a journey through time as well as across beautifully detailed spaces from Italy and France to Brazil. The novel’s heroes are middle-aged Milanese academics. By day they toil in the stifling atmosphere of a vanity publishing press, but by night they sip cocktails and exchange esoteric banter about medieval history. As they creatively re-imagine Europe’s journey from the Crusades to the Enlightenment, they battle their personal demons of career, faith, and love. Soon they are battling for their lives against mysterious forces that bear a startling resemblance to their ostensibly fictional fantasies. Eco’s prose, translated from Italian by William Weaver, is high-minded, witty, and deeply researched. The book’s Byzantine plot touches on everything from the workings of the publishing industry to the mechanics of the eponymous pendulum, a nineteenth-century scientific curiosity that demonstrates the Earth’s rotation. Foucault’s Pendulum is much denser than the novels of Eco imitator Dan Brown, and many will find it a more rewarding read as a result. Its juxtaposition of realistic characters and fantastic imagery will linger with readers long after the climactic revelations.